Keep the Saturn in Saturnalia! Maybe you’re like me. I’m perfectly happy to admit that we all need a way to get through the miserable dark days of winter. The Christmas holiday serves this purpose very nicely, allowing everyone to enjoy special time with friends and family, emphasize the goodness of the human spirit and find reasons to be nice to strangers. But maybe the whole Christ part of the holiday grates on you a bit. 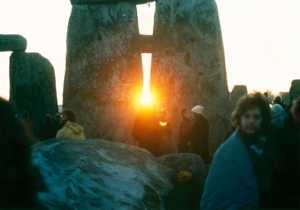 Maybe you’ve been worn down by the inevitable yearly encounter with a smug Christian who acts like they’re the only one who really deserves to celebrate this time of year, like they invented the idea of a solstice holiday. 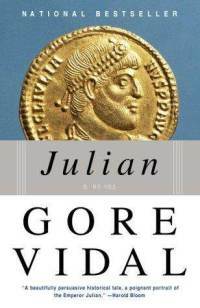 Julian – One of the late Gore Vidal’s early works of historical fiction, this is an engrossing narrative of the life of the fourth century Roman Emperor Julian, compiled from his unpublished memoirs and letters from his confidantes. A complicated man, known as Julian the Apostate, he was the last emperor to oppose the adoption of Christianity as the official religion of the vast Roman Empire, energetically endorsing the older “pagan” beliefs instead. While the work is fiction, it’s a well-researched and entertaining look at ancient imperial life and reveals plenty of interesting parallels with modern religious debates. 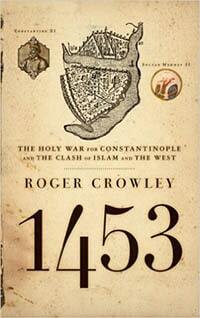 1453 – Roger Crowley, a British historian, tells of Constantinople – the greatest Byzantine city of its time and the center of the Christian world – and how it was destroyed by a twenty-one year old sultan and military genius known as Mehmet II and his horde of Ottoman Turks. A year that will forever live in infamy in the history of Christianity, 1453 is a well told tale that sheds light on much of today’s unending religious warfare. 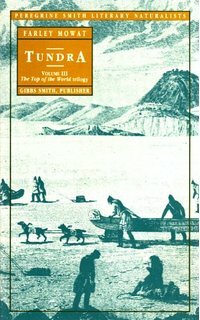 Top of the World Trilogy – In this trilogy, acclaimed Canadian novelist and historian Farley Mowat shares much of the history of polar exploration. Forgoing any discussion of Santa Claus, Mowat compiles dozens of logs and diaries from the many intrepid – and often forgotten – men who ventured north and provided the first modern understanding of the Arctic. Frequently adding his own knowledgeable commentary and interpretation, Mowat’s work provides anyone interested in the history of exploration with an impressive, exhaustive and valuable resource. 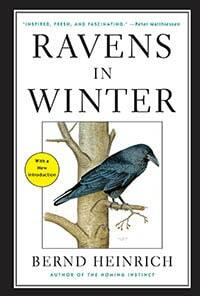 Ravens in Winter and Winter World – I’m thrilled by everything Professor Bernd Heinrich writes. An incredibly tenacious biology researcher – as well as an accomplished ultra-marathoner – he consistently provides fascinating insight into the details of the natural world. These two books explore life in winter: the former delves into the intimate lives of what may be the world’s smartest bird; the latter goes smaller, exploring how countless diminutive birds and insects manage to survive the harsh winters in the woods surrounding Heinrich’s isolated Maine cabin. 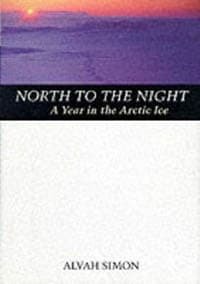 North to the Night – In one of the more insane adventure stories I’ve ever read, Alvah Simon and his wife sail north on a 36-foot sailboat to explore the enchanting beauty above the Arctic Circle. Eventually Alvah ends up spending the winter trapped in the ice off the northern coast of Baffin Island, accompanied only by his cat. A riveting and haunting story of solitude and determination that still gives me chills. 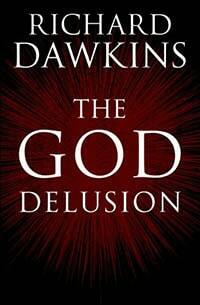 No holds barred, hard-core atheist literature. Nothing makes a better Christmas gift for the non-believers near and dear to you. 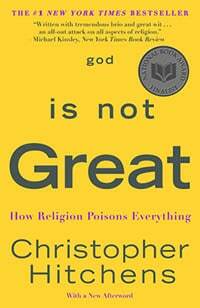 god is not Great – In this treatise, subtitled “how religion poisons everything,” the late Christopher Hitchens shares his personal journey away from religion, critically dissects many of the most revered Christian texts and generally gets grumpy about religious belief. An acclaimed journalist and writer of unique skill, the author provides an eloquent and robust review of many of the essential atheist talking points, providing plenty of ammunition for futile quarreling at your family holiday gathering. The God Delusion – Renowned evolutionist and Oxford based atheist, Richard Dawkins puts his anti-God argument into comprehensive book form for the first time, often approaching the topic from a scientific perspective. Like many of his atheist brethren, he’s frequently accused of being shrill, arrogant and unpleasant, criticisms which I find completely without foundation, although he certainly doesn’t go out of his way to make any friends in the “delusional” religious community. A fine handbook for anyone who’s having doubts. So there you have it, a diverse literary array of selections for whatever solstice holidays you choose to celebrate in 2012. No need to be a Scrooge, you can shop right here for anyone who may need a break from the Christmas cacophony. Happy holiday reading!